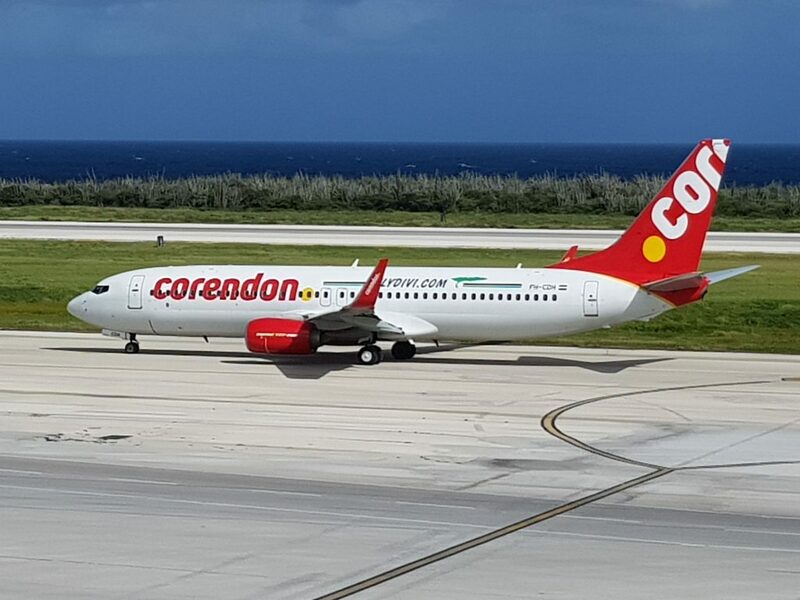 Willemstad- The adventure of Divi Divi Air, together with Corendon Dutch Airlines, has come to an abrupt end now that Corendon has sent home the single Boeing 737 used on the route. The Boeing jet had been deployed on the route between Curaçao and Sint Maarten 4 times per week since December 10, 2018, as well as for a once-weekly flight to Sao Paulo in Brazil. Originally the plan was for the jet to stay on Curaçao till April 15, 2019, but developments have led to an earlier departure of the jet, which was a welcome addition to the service provided by Winair’s/Air Antilles ATR flights. Germain Richie, director of Divi Divi Air confirmed the news to ABC online media this afternoon. “The early departure of the plane has been caused by the grounding of the Boeing 737 Max airplanes”, explained Richie. According to Richie, the grounding of the 737 aircraft meant that Corendon needed the plane back in Holland for deployment in Europe. Richie also said that Divi Divi, together with Corendon, were looking for an alternative to maintain the route while the Boeing 737 was unavailable for use in Curacao. The Divi Divi Air director furthermore said that the plan was for the Boeing 737 return to Curaçao next winter season, probably from October of this year. The deployment of the Corendon Boeing at the time was presented with quite some brouhaha by former Minister of Economic Affairs Steven Martina, who hailed the Corendon Jet as an alternative for Insel Air and as instrumental in the promotion of tourism out of Brazil.